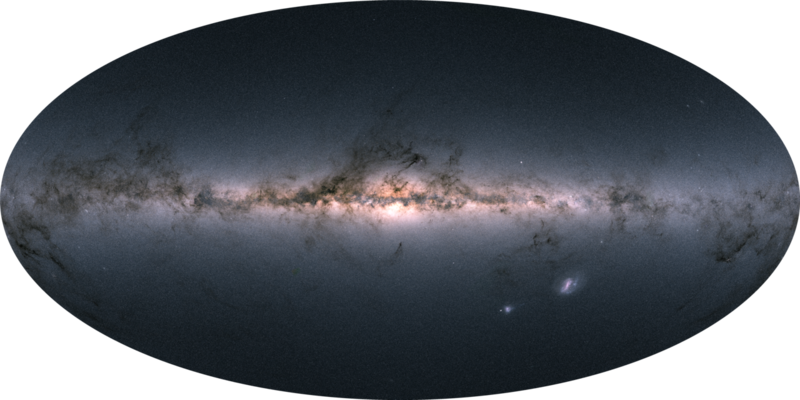 Gaia's all-sky view. Credit: Gaia Data Processing and Analysis Consortium (DPAC); A. Moitinho / A. F. Silva / M. Barros / C. Barata, University of Lisbon, Portugal; H. Savietto, Fork Research, Portugal. Although there are no major meteor showers in August, cometary dust appears in another late summer sight, the morning zodiacal light. Zodiacal light looks like a cone of soft light in the night sky. It is produced when sunlight is scattered by dust in our solar system. Try looking for it in the east right before sunrise on the moonless mornings of Sept. 8 through Sept 23.